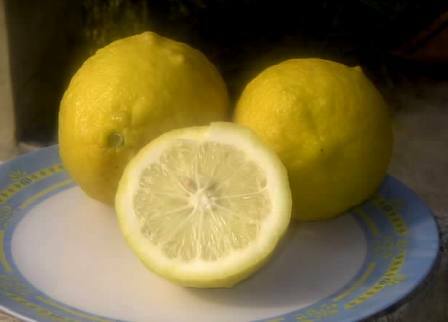 English name: Hill lemon, Kumaon lemon. Galgal is found in semi-wild state in the North West Indian hill states of Jammu and Kashmir, Himachal Pradesh and Uttarakhand. It is indigenous to India. Galgal is also cultivated on a limited extent. A medium sized tree, 5-6.5 m tall, with an irregular and loose crown and a trunk 28 cm in diameter. Bark smooth, green, thorns numerous, stout, upto 2.3 cm log; petioles; petioles 1-2 cm long and 0.3-0.4 cm wide, marginally winged, distinctly articulated; leaflets broadly elliptic-ovate to oblong, 9.5-15.5 cm, crenate, base cunceate-rounded, obtuse-acute to blunt or pointed; flowers in clusters of 4-9, seldom solitary, terminal or axillary, mildly fragrant. Fruits ovate-oblong, yellow, 10-11.5 cm in diameter, weight 400 – 500 g, apex slightly nippled, rind 0.6-0.8 cm thick, strongly adhering, segments 8-10, pulp light yellow, coarse, vesicles cylindrical, fusiform, loosely packed, seeds 28-59, light yellow, conical ovate with prominent ridges and smooth surface. Galgal is probably the most cold hardy lemon. It can even be seen growing in low altitude apple orchards. It can withstand temperature upto 25 F.
The main use of Galgal fruits is pickle. Galgal pickle is very popular in North India and there exists a sizeable trade in it. Villagers concentrate galgal juice by heating. This juice, which is called “chukh” in local dialect, is then stored in glass bottles and is then used later in the season. Juice of galgal is also used as a souring agent in many food preparations. 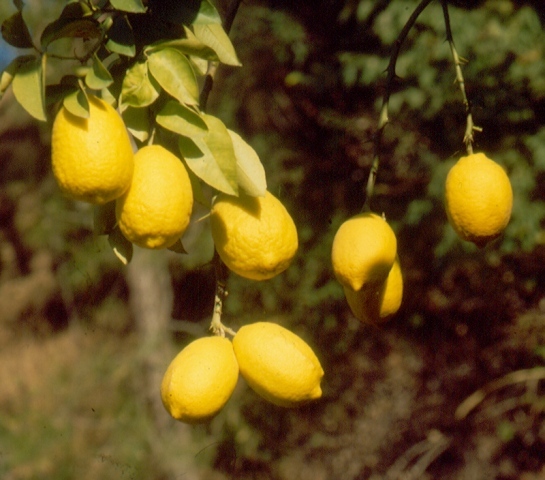 Many unscrupulous traders use galgal juice as a cheap substitute for more expensive kaghzi lime (Citrus aurantifolia) juice while preparing lime squashes. Galgal is propagated by seed only. There are no varieties. The trees should be planted 4.5 metres apart. The young plants are susceptible to citrus canker and citrus leaf minor. Measures should therefore be taken against these.